Thanks man! I've seen some pics and read how you use your vehicles so a nod of approval from you carries some weight (no pun intended!) Looks like I'll be ordering some next week. Willard, to answer your questions: I measured my CS010R along the curve. I got 47" eye-to-eye. 20.75" front half and 26.25" rear half. Eyes are the same on both ends (30mm), so you can run the 18mm bolts. Installed with Sky's basic front drop hanger (1" drop?) and boomerang shackles (2" over stock). Definitely moved the axle forward quite a bit. At last 1.5" but I shoved the hanger a bit forward as well. It sits about 28" from center of hub to bottom of fender. Shackle angle is almost 90*, so I plan on pulling a leaf to see if I can get it to sit a little lower. Here it is with the CS010R in the front and CS020R in the rear (rear setup is stock hangers, 6" shackles moved 2" back). I still need to get the rear up and the front down. Thank you for the info man. That is what I needed to know. So the 10R are the medium duty correct? Do they have an overload? Did you add any leaves to the pack or just put them in? I pulled the the two thick overloads off the bottom when I mounted them. It is still a 5 leaf pack. I'm going to pull another leaf. And see where it sits. I messed with the springs some more this weekend. I pulled the extra leaf (3rd one down) from the front CS010R packs, making them 4 leaf packs. This softened them up quite a bit and lowered the front 2" (26" from center of hub to fender). They do look like they might go W quickly, so I may see about adding a flatter leaf back in. In the rear, I added the 3rd leaf from a stock Toyota pack and an old Rancho add a leaf to the CS020R packs. This raised the back about 1.5". Sits fairly level now and I like the height (33" tires). Front pack not under compression. Thanks for the info man. Looks good!! I have the cs009r RUF setup as well, however, I ditched all but the top two main leafs and utilized the lower three leafs from the OME CS008FA front pack. This left me with a five leaf front pack with my axle moved forward enough to run 37s.... and no 'W' under compression. The CS008F lower leafs are shorter than the CS009R lowers as they were designed for the front originally. Since the front leaf packs are designed for a center mounted pin (equidistant to front/rear mounts), I am going to press new center pin holes so that the lowers will match how the rear mains have an offset pin location. Instead of ditching the lower leafs from the CS009R pack, I threw them under the top three leafs from at CS020R pack for the rear. This required that I moved the hanger back a couple inches for a 5" shackle. I am using a flipped short overload, so it doesn't interfere during compression until the springs are flat. 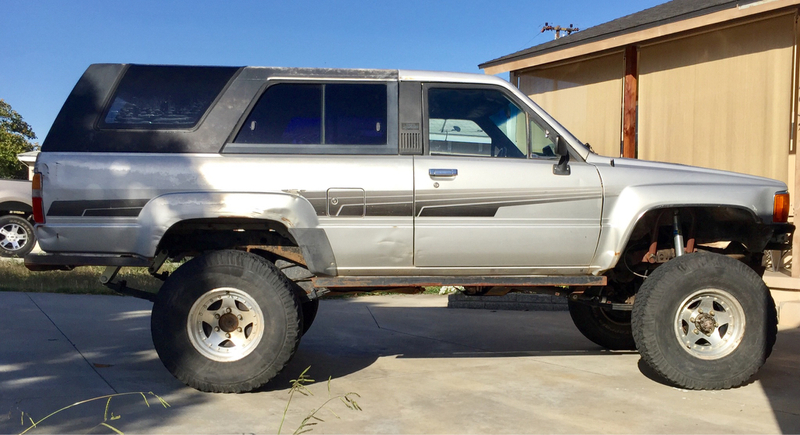 Height wise, it sits lower in the rear, but I will likely drop from a 5" to 4" shackle in the front and maybe run a 1" tapered block to correct pinion angle in the rear. This should even it out. Sweet-looking rig! Thanks for the info. Do you happen to have the dimensions on the CS008FA pack? You mentioned pinion angle in the rear. With the CS020R and 6" shackles, my pinion angle is seriously whacked. I measure it is 10 degrees off... trying to figure out if I want to run a shim or take more drastic actions. I am surprised it is off so far. They are made to fit the front without any modifications to hangers etc, and with a 3.5" shackle. Yes my pinion angle is also out of whack, and I get vibes when letting off the gas from my angry driveshaft (which now also needs to be lengthened in the rear). I am going to adjust with a shim and possibly run a DC rear shaft to eliminate the vibes. Does anyone have a picture of them running the 51" springs in the rear? Im torn between that 47s and the 51s and it seems like people say the 51s will go right in without needing to relocate the rear hanger. I have 6" eye to eye rear shackles now. I don't think you will get away with the 51s without moving your hanger. I run a 5" shackle with the hanger moved back at least 2". Those pics show modified spring packs and I should have probably been more specific in wanting to see a picture of the 51" springs mounted with the stock hangers. Thank you for the info most likely needing to relocate the hanger. You just might be able to get away with a 6" shackle in the stock location. I am assuming you are running a 4r and not a pickup? 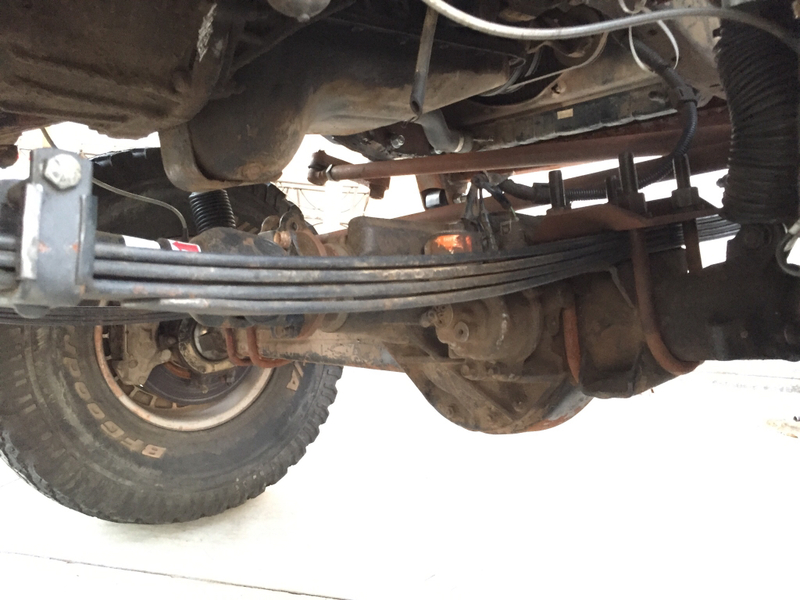 These springs are low on the spring rate and will likely dig into the overloads immediately on a 4runner without any spring modifications. The CS019R (51") springs have three main springs (all of the same length - nothing progressive here like an AllPro pack) and three large overloads. What are your goals in running them? I might buy AllPro rears if you're interested in buying my 51" pack. I would obviously put them back to stock form. Im just trying to replace my stock springs and 2" lift blocks and the price of the OME springs seems really good. You have to move the shackle mount and/or hanger to run the 51" springs in the rear. I don't have a picture handy, but I can tell you that the 51's will not work with with stock hanger/shackle mount locations, even with a 6" shackle. I tried it and the shackle sits nearly completely horizontal against the frame. 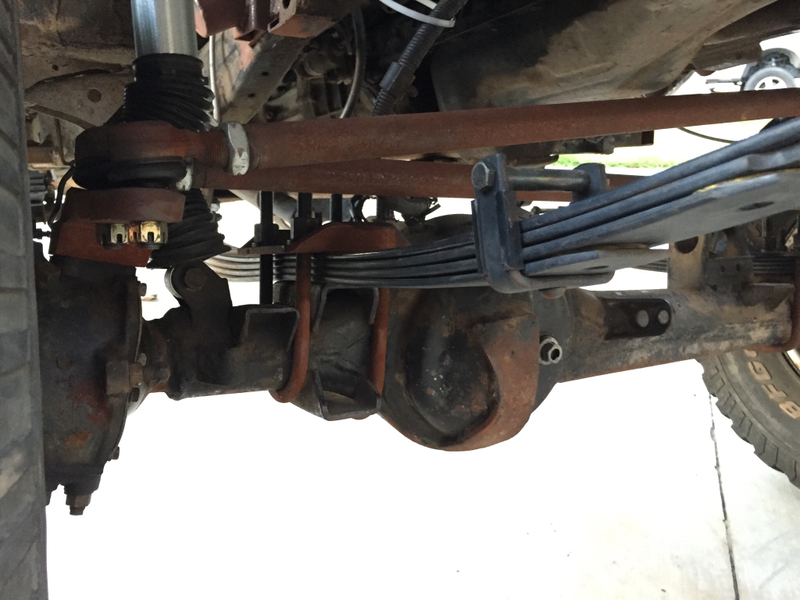 In my picture above (silver 4Runner), you can see what it looks like with 51" springs and the shackle mount moved 2" back with 6" shackles. This gives a shackle angle of around 48 degrees. The spring hangers are in the stock position. With the spring hangers in the stock position, the axle is moved about 1" back. So, depending on your driveshaft length and tire size, you may not want this. I am considering moving my hangers 1" forward. Also, the OME 51" springs are really soft, so you won't get a lift out of it without adding additional leaves. Otherwise, they pretty much sit flat (on an unloaded 4Runner at least). I had serious pinion angle issues after installing the springs. Something about the shape of them coupled with the 6" shackles. I am currently running 9 degree shims and it still isn't right. May have to switch to a CV d-shaft. All that said, they seem to be really nice springs. I have an extra set of the 51's and also a set of the 47's I am looking to sell if anyone is interested (see the for sale forum).